Submitted by maki on 2008-09-11 10:52. I went to japan during the summer and ate several things on this list, one thing I loved was yokan, my japanese boyfriend's sister got some high end yokan that came in many flvors and looked like brightly colored shiny large maarbles and they were so delisious! fruit, anko, sweet potato, are some of the flavors... Also, Japanese sweet potato is the best! 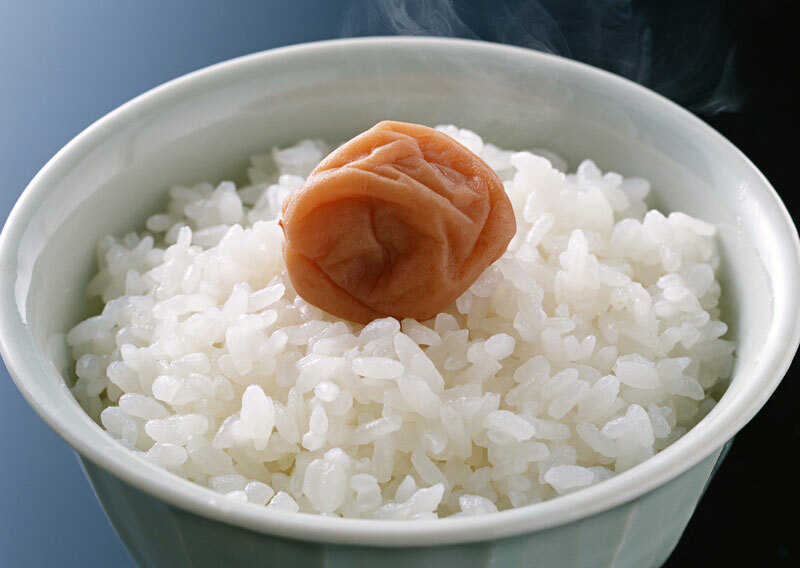 There are a few I've never had homemade, although I've had them, like homemade umeboshi. There are some I've never had because I've never been to that region at the right season, like ishi yakiimo and fresh matsutake. And there are some I don't know what they are at all-- baby ramen? I am not sure if yakiimo is really regional....if it is Kansai must be the region. As enjoyable as the taste is hearing the vendors driving their small trucks saying with that distinctive cry "yaaakkkiiimmmmoooo!" A little bit scary the first time you hear it. But once you enjoy one of those sweet potatoes gilled on hot rocks...it is a welcome sound. This list is such a cool idea. I definitely have lots of dishes to try! Reading your list made me feel hungry for some Japanese food! I hope you don't mind, but I've shared your list on my blog for my readers as well. Please let me know if that's not okay and I will take down the list. I like that you added some packaged products there, for those of us who aren't lucky enough to have easy access to fresh Japanese foods. :) I love my daily shot of Yakult. I counted around 75. I was lucky enough to have lived and traveled in Japan in the past. Some I had totally forgotten about. #5 sanma, #18 at the Kabuki-Za, #31, #71, but especially the Ekiben. I used to love train travel. SO... I've got 25 to learn about or don't recognize the names! I can't wait to hear about them! You sure have made me both nostalgic and very hungry indeed! Great fun! sweet list. im going to make it my life mission to go try everything on this list at least once. ^^ i have eaten a few on the list though. i love Yakult! This list is awesome - and Yakult....rocks! I have a few packs in the fridge now...yum. It's great to see another list of foods to try! Hello.I'm Japanese female who lives in Switzelrand. does it go everytime.And I found your blog.It seems that you LOVE Japanese food! Natto,Nukazuke by myself.But it's difficult to find right things sometimes. and so on.It's not bad so much. Anyway,I'm really happy that Japanese food are loved by a lot of people! thanks for the link to our Big List. If anyone knows about other "100 Things You Must Eat" out there, be sure to leave us a comment! I haven't heard of most of these, but I do love tempura and Unadon. I don't see one of my favorites--Futomaki. Almost everything I'd add to my list you already have! Such a complete list I can't imagine how long it must of taken to come up such variety. I'd add hijiki and also chikuwa with cucumbers and ume paste too. Maybe when I can't figure out what to make for dinner, I'll just check out your list! Well, I haven't tried a whole lot of these, but my friend (who went to Japan last summer with school) and I spent almost an hour in an asian supermarket looking for Calpis so I could try it. Actually, most of the stuff on here I've tried because of her! (highchew, milk candy, and some others I probably can;t spell) THough I am lucky enough to live somewhere that actually has two decent Japanese food restaurants. Thank you SO much for your detailed explanations on the first 40 of the Top 100. Although I thought I knew something about some of them, your detailed explanations along with your links to recipes and the Kanji as well is truly helpful! I am so delighted by your blogs and recipes. I'm looking forward to trying the "Wafuu Pasuta" recipes because of your links! As a broke university student Japanese curry (especially cheap kind from Matsuya) is one of my favorites! two things i miss the most about japan...real ramen noodles from a vendor on the street and ishi yaki imo with lots and lots of butter. Found your site today, it's great, the bento counterpart as well! If you like foodie lists, you may want to add this one to listsofbests.com, it also has the BBC's "50 things to eat before you die" list etc. Sumimasen: I don't see the rest of the list? Forgive me, but I only see 18 foods on the list of 100 Japanese foods to try. Will you guide me to where the rest of the 82 Japanese foods to try are? I really enjoy this site when I have time to browse. Re: Sumimasen: I don't see the rest of the list? I have this same problem as well. Though I recall having seen the whole list at some point. Well, this list was very good. But I thought it was a little specific. I'm living in Japan as a foreign exchange student, and I've been in Japan for a total of 5 months so far. I've tried a LOT of Japanese food. But, it's difficult to cross them off the list if they're not EXACTLY what you list. And I'm vegetarian, so that cancels out atleast half. But, it's a good list nonetheless! I am biased: I am a gyoza enthusiast. I know this comes from China originally.. But that tastes so good when fresh and well cooked..
That is one of the few things that competes with Yakitori for a light beer and snack stop on the way home. Thanks for the list, very interesting! Gyoza is one of my favorite foods ever, but I didn't think it was really Japanese (and not drastically adapted the way Japanese yakisoba differs from Chinese lo mein) so it's not on this list. you might want to fix the description for "cream or potato korokke"...it says "...usually with crap or shrimp in it..", and I'm pretty sure you might've mean "crab or shrimp"...or at least I hope you did. Found this while looking up new Japanese foods to try -- my friends and I are Japanese culture enthusiasts (and food lovers in particular) and this list has helped me immensely. Actually, your blog in general just rocks. ^__^ I look forward to conquering as much of this list as I can! One of our favorites is fried Gobo with chile. I make my own ume as we have Japanese plum trees. I dry Kaki in the fall also. I have never tried it, but it sounds and looks good. I want to try it. Do they have them at japanese resturaunts? Most general Japanese restaurants do, and there are also restaurants that specialize in tempura. Like sushiq, i also only see 18.Did i get to the page the wrong way? I ate yakitori and ramen before I gave up meat, but there are two places in the Tokyo area that serve ramen made with fish. This is a fantastic list and resource. I'm very grateful for all the explanations. There were quite a few things I had tried but had no idea what they were called! I'll be hunting a few of these foods out specially in the next couple of weeks. My husband and I recently moved back to Darwin, the capital of the Northern Territory from living in Cairns Queensland Australia for 4 years. The population is mostly Indonesian and Chinese here and there aren't so many Japanese or Korean tourists. I miss all of the Japanese outlets and little corner grocery stores could go to in Cairns so the limit of the Asian foods is now very limited. I order all of my bento boxes online from the USA as I can't get them here either like I could in Cairns. Your list looks so good, so many delicious things to try, I'm glad I had a chance to try a lot of them while we were in Cairns. Thanks for printing this list. It brings back great memories of wonderful food experiences in Cairns, Australia. WOW I'm very far behind on this list. I've been reading lots of manga, and there is always a mention of some kind of Japanese food in them (mostly when they have school festivals). From all that manga, I've become mad on eating Japanese food! I've not tried very many things, but what I did try, I've loved. So much. Whoever thought up this website, I thank you from the bottom of my heart - and stomach. I've eaten a lot of the food on this list without knowing. Then again, there might be similarities between Japanese food and Taiwanese food. It would have been helpful to have an English translation next to the food, then I would know what I was ordering in a Japanese Resturant. I would love to see a list with 100 Japanese foods to try which are completly vegan. this is a very good list. there may be a couple things i could add to it...but a quick scan tells me i've pretty much had (and mostly have enjoyed) them all. my wife, whose family makes yuba in tokyo, kobe, and osaka (among other things) would probably disagree on the oden and much prefers nabe instead. one of my favorite things around the new years is fresh yakimochi wrapped in yakinori. yum! Is it just me that can't see all 100? I'm only seeing up to 18... hmm.. I completely agree with your top 5. I recently moved out on my own and I've gotten quite hooked on eating rice. Lots of it. Of course I could say it's because I'm Asian but seriously now that I've been washing and cooking rice properly I've become quite addicted. Though of course I've to stick to the cheaper range (貧乏学生だから；A；) cooking it nicely really makes a hell of a difference. And there really is nothing better than eating the tofu raw. That fresh light taste really is something. Actually combining your top 5 makes an amazingly divine meal even if it is rather simple. Ah I could go on but I guess that would be spam. Oh, you're killing me. I used to work in a Japanese restaurant long ago, and since then developed a great love for it. Now I can't even get 90 percent of these things, and the 10 percent available are horribly expensive. For Chelsey, I too am a vegetarian living in Okinawa. So what if it cancels out half the list? =) Try the other half! I've tried a pretty high number on here. I'm pretty happy about that. Great list! What is baby ramen though? This kid's size? Definitely a good choice if you are at the Raumen Museum and want to sample all the bowls! Baby Ramen does not refer to a small portion of ramen. It's the brand name of an old fashioned snack. It looks like crumbled up instant ramen and comes in a little packet. It's not really one of the highpoints of Japanese cuisine, but I threw it in there as a representative of dagashi, or traditional cheap 'penny candy' in Japan. What about Sanuki udon? Or is it on there and I just missed it? Sorry of that's the case. Great list though; I'm keen to try all of them if I can. 7) Forgot the name, but that candy with the rice paper wrapper that looks like cellophane. Although it's very regional, Sanuki udon should be on this list. I was very skeptical about how special people made this particular udon sound until I actually went to Takamatsu and tried it. It really does stand head and shoulders above all other udon noodles, and is totally worth the trip to Shikoku -- even if you don't do anything other than eat. Curry udon might also be worth a mention as it is simply delicious. That must really good.whats for dinner I'mstraving .whats for desert. What about Tokoroten? Jellied water in form of square noodles with soy sauce and mustard is definately one of the strangest things I've ever eaten, but it was quite tasty. Unless I missed it I can't believe that Katsudon isn't on that list. To me that is one of the most quintessential Japanese foods. It was my first meal in Japan and I will never forget it. I couldn't believe how many of these I don't know. I am a Japanese interpreter so I go to Japan all the time but I had no idea how many things I have never got to try. You forget my absolute favorite candy and I do not exaggerate, Kasugai gummy candy that comes in every flavor possible, like grape, muscat, lychee, orange, kiwi, mango, strawberry, apple, melon, peach etc. It is to die for. Just the aroma of the bag itself will drive you nuts!! Everyone needs to just try their favorite flavor and you'll be hooked like me and many others.